This tier one EMS Corporation is a leading electronics contract manufacturer serving the fastest growing segments of the global Electronics Manufacturing Services (EMS) market. 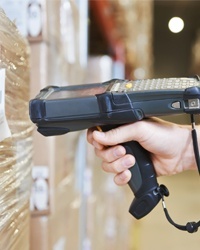 While maintaining the highest levels of productivity, their operations team needed to improve inventory control and accuracy. See how WaveTrakWMS is a cost effective solution to the warehousing, material movement and inventory control requirements, all while maintaining standard interfaces to the host system, Oracle.